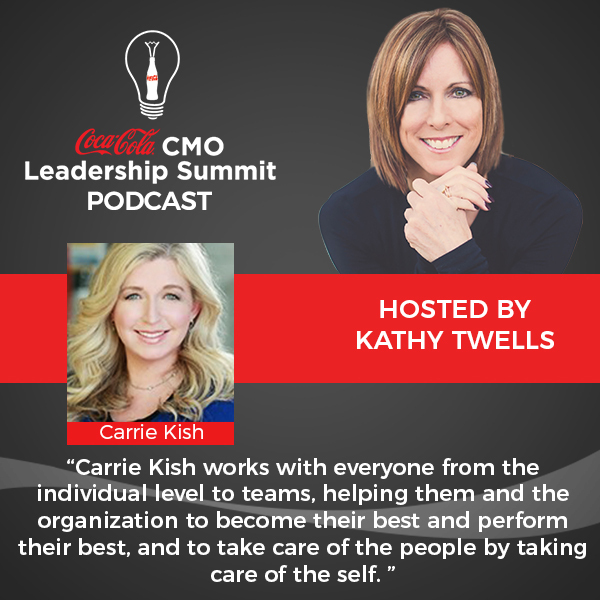 I had an absolute blast talking about leadership and culture with Kathy Twells, VP of Customer Marketing in the West US for Coca-Cola. We talked about culture, chaos, candor, and commitments. One of the best hallmarks of a leader is that leaders create leaders behind them. Great leadership is not about resolving tension; it’s about holding tension. We have to start taking care of the culture and the humans and the people. We have to start addressing the dark side of what’s going on in organizations and in the world and not just be focused on performance. Performance at all costs is becoming too expensive and we won’t tolerate it anymore. You need to tell the truth responsibly. We did not promise that it was going to be less chaotic. We did not promise that it was going to be nicer. What we promised is you’re going to get better results. You’re going to move faster and you’re going to be based on values as opposed to based in expertise. Leadership oftentimes is about inserting more chaos into the system. It’s harnessing creative energy. People can put a negative context on chaos because you can’t control it. The advice I’d like to give people is the more chaos you can tolerate, the more success you’ll have. In order to be radically present, that means you have to be absent from other things. That’s the dark side of presence. One of the best investments you can make as a leader is to invest in reflection time or mindfulness or thinking time or whatever it is you happen to call it. I have learned more from my failures than from my successes. I feel like we spend our lives trying to avoid failure like, “I don’t want the people on my team to fail,” and I want to set them up to succeed. I don’t want to set them up to fail, but I do need to allow people to fail. If we’re not failing, we’re not trying hard enough. We’re not taking enough risks. One of the things in leadership roles that we need to do is make sure we’re creating a safe environment and making it psychologically safe for people to fail. In most organizations I work in, it’s not. Go check it out and let us know what you think!